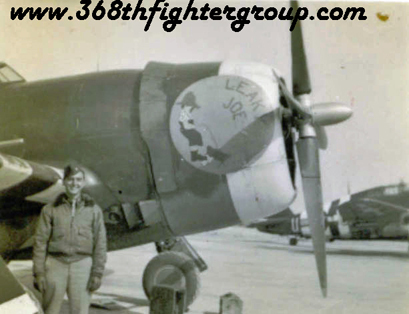 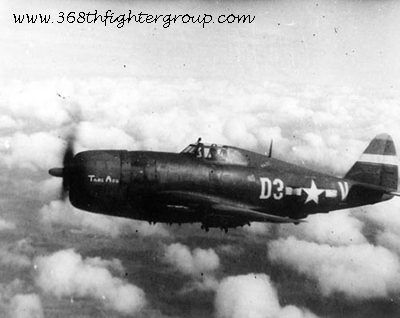 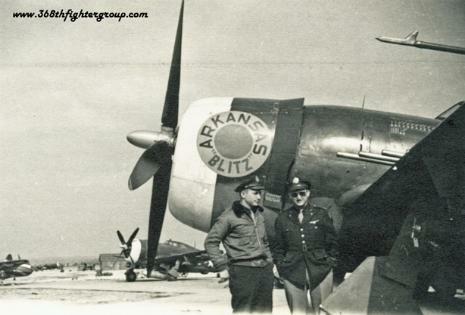 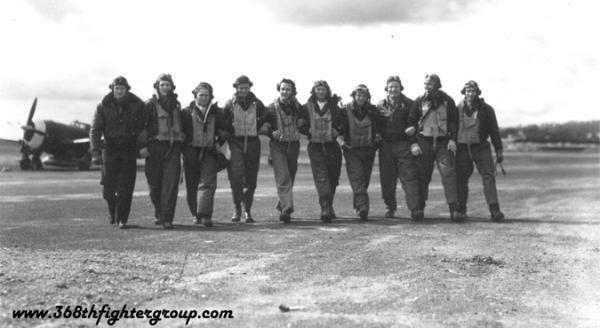 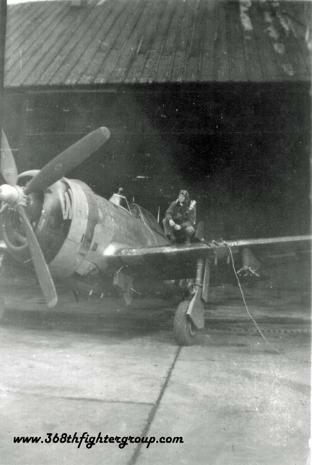 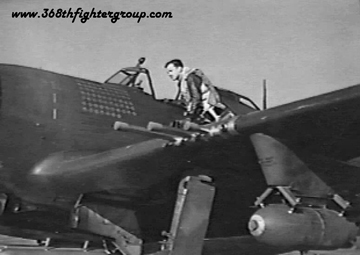 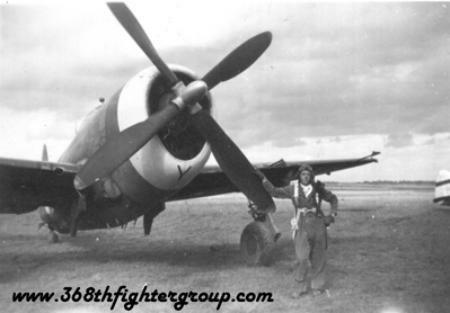 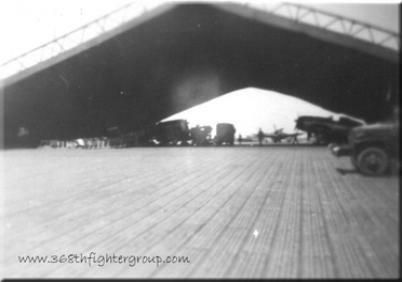 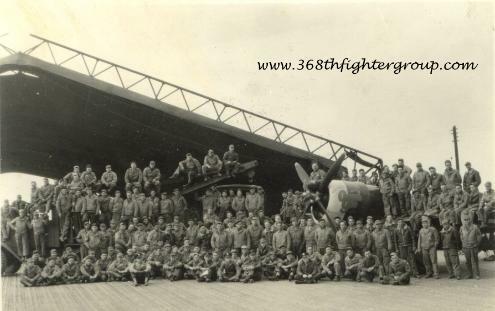 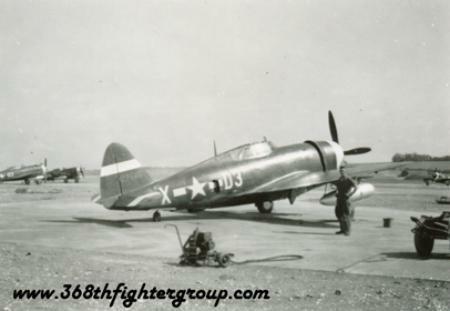 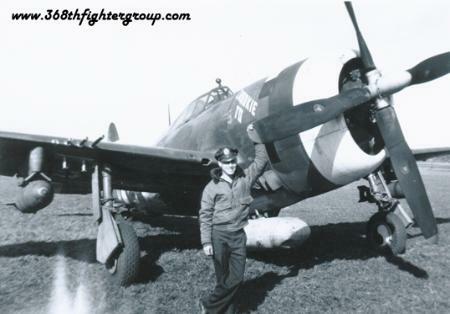 All photographs are the property of the 368th Fighter Group Association. 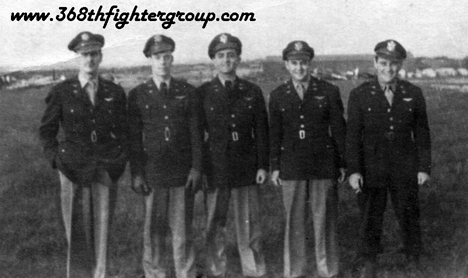 Please e-mail me with any requests, comments, questions, or corrections. 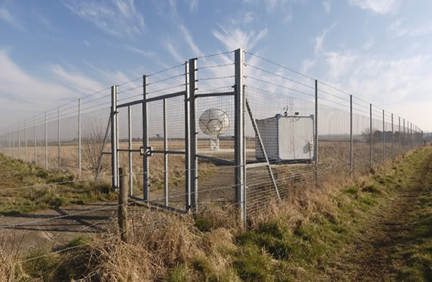 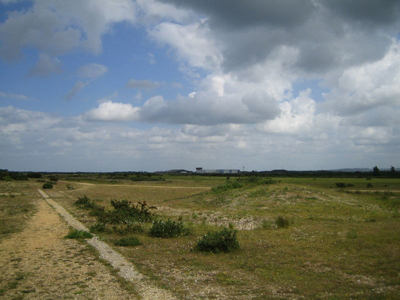 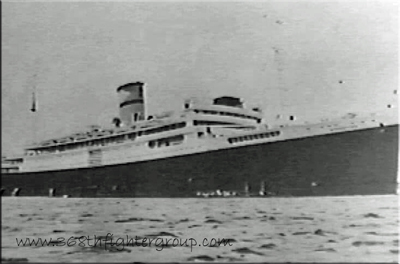 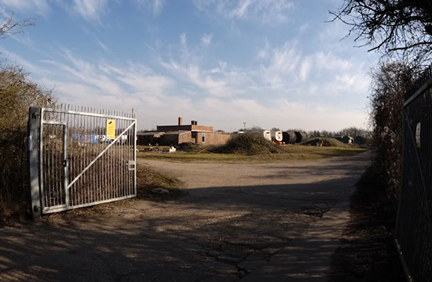 remained there until movement to France in June 1944. 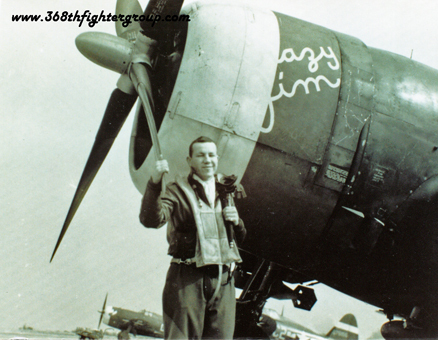 Left: Jim Gamblin prior to a mission. 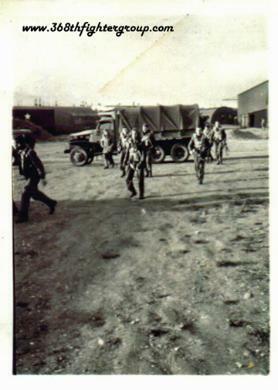 Top: All dressed up and ready for a pass into town. 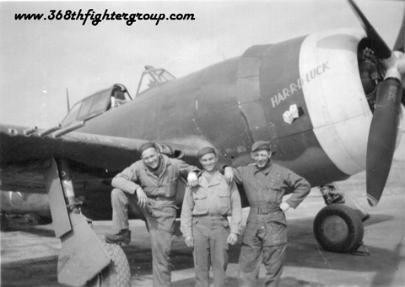 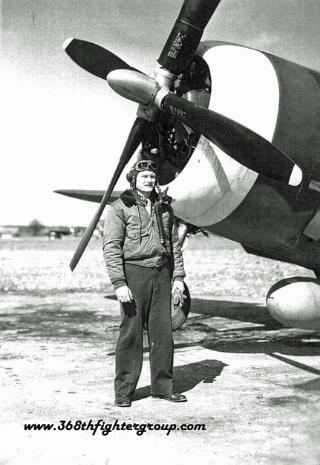 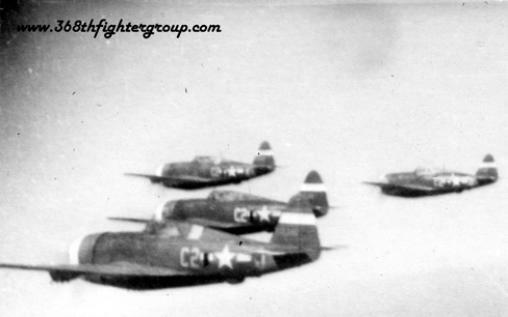 OD Green P-47's without invasion stripes date this photo spring 1944. 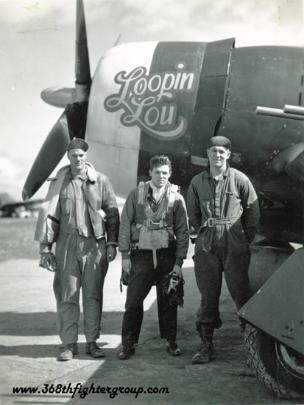 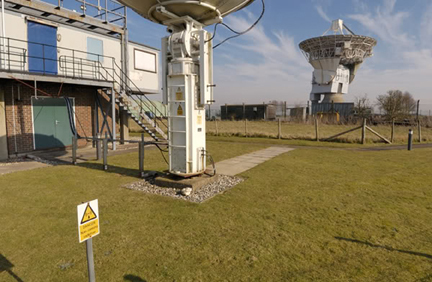 Right: Pilots returning from mission heading to debriefing. 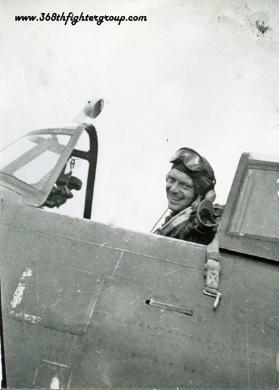 Henry Arps preparing for a mission.